Monstertoberbloddyfeature. What is Atomic Zombies!!!? 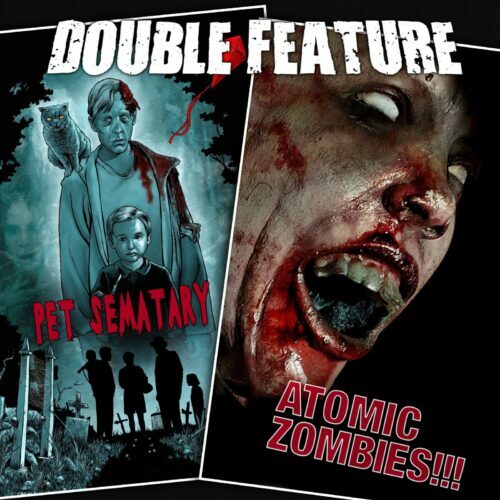 Pet Sematary as seen through various shared world’s. Michael’s retirement plan is not do go on that there hill, there’s a death curse. Eric is mean to children. Do the thing in the movie that would be the most interesting, unless it would make the movie worse. Performing experiments in the world of Pet Sematary – good science or bad science? Talking about sky pig. Everyone is entitled to their own false reality that you should blindly respect! Where did Atomic Zombies!!! even come from? Finally, someone does the thing we’ve been baiting. More independent than independent. This movie has more heart than half of the top grossing films this year. And it’s pretty late in the year. Two weeks after a local nuclear power plant explosion (which totally wasn't an evil secret Nazi research laboratory), zombies have taken over the town! This entry was posted in All Podcasts, Year 9 and tagged John McKechnie, Mary Lambert. Bookmark the permalink.